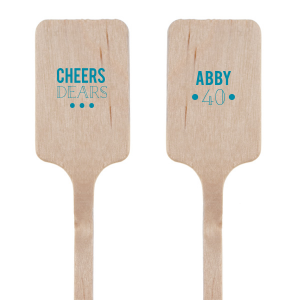 Stir Sticks are biodegradable with a natural wood finish that shows the wood texture. As these are a natural wood item, variations will occur within each order. 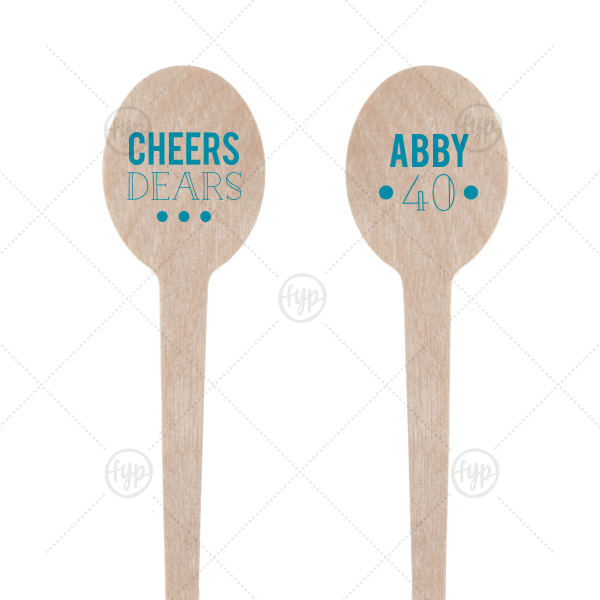 We offer three shapes of Stir Sticks that can each be personalized on one or both sides. 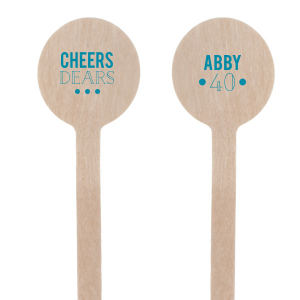 Personalization is available on the “head” of the Stir Stick. Size varies by shape. Personalize your Stir Sticks with text and illustrations from our extensive, designer-curated collection. With over 100 paper colors, 150 fonts, 50 foil colors and 1,300 clipart images, you can create the perfect party accessories for your event. You also have the option to Upload Your Own Art for a truly unique product. Please note that because of their size, only certain designs will fit on your Stir Sticks.